The day is not over yet. In fact, it hasn’t even started. We’ll see what Google will reveal this year as part of their April Fools’ tradition. Note – There’s a full Pack-Man doodle by Google if you’re interested in playing the real deal. 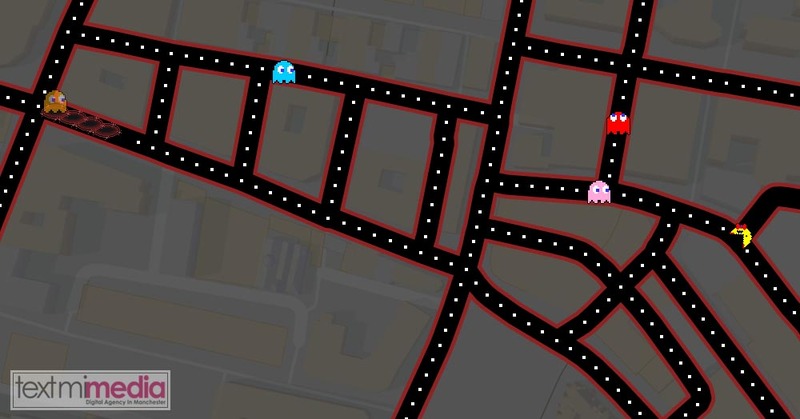 Just follow this link: Google Pack-Man Doodle, or search for “Play PAC-MAN Doodle” on Google. Enjoy! Textmimedia is experienced in creating marketing mini games and widgets such as this Pack-Man map overlay game for companies and brands. If you’re interested in doing something unique and similar for your brand or client/s, don’t hesitate to pitch your idea to us.